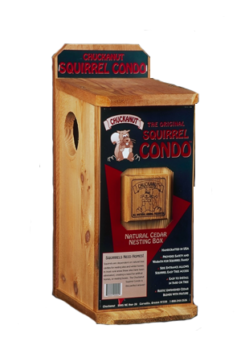 Comes with a free 1# bag of Chuckanut Premium Squirrel Diet included in the feeder. 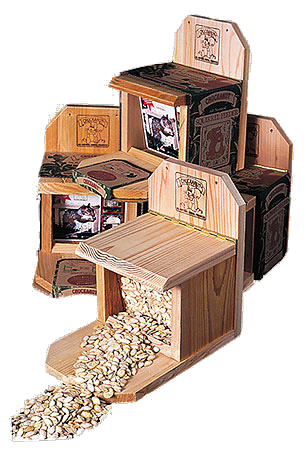 Select flow allows feeding of birds and squirrels or squirrels only. 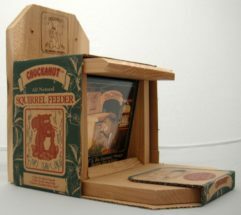 Lets you enjoy watching squirrels eat and play at the feeder. 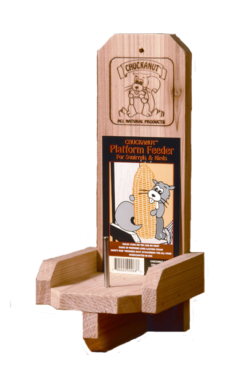 Made from long-lasting cedar. Handmade in the USA.